I love cold Taiwan style milk tea AND hot Hong Kong style milk tea. As long as there is a strong tea flavor and it’s not too sweet, I love it. A few months ago, I found a Taiwan style milk tea recipe I love, but had yet to nail the HK-style one. It’s not for lack of trying. 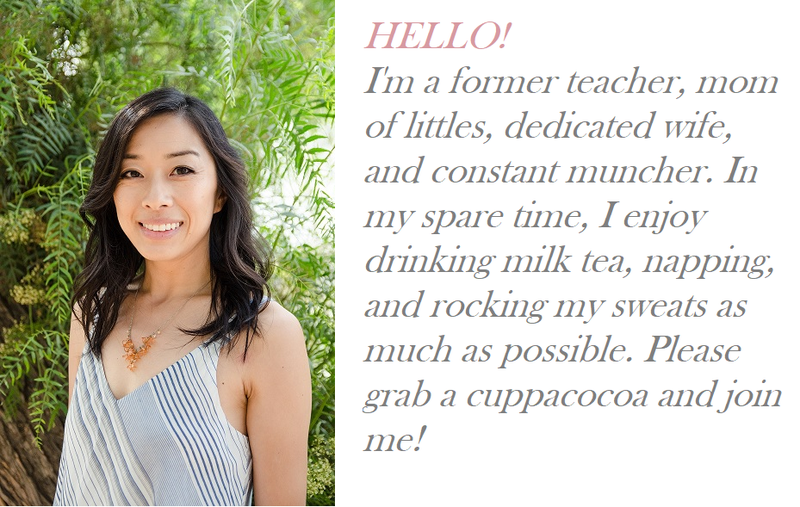 I have tried a number of “silk-stocking” milk teas using condensed milk, evaporated milk, Lipton tea, Ceylon teas, and other blends of teas, based on various recipes I found online. None were to my satisfaction. My biggest problem was that I couldn’t hit the right tea flavor, so I gave up. Various people had told me the secret was to use Lipton tea, but um… there are several varieties of Lipton tea, so without a specific TYPE of tea, I was still pretty lost. Fast forward a couple years. Enter Auntie Catherine, a very, very thoughtful lady at my church, who delivered a box of MAGIC to me. 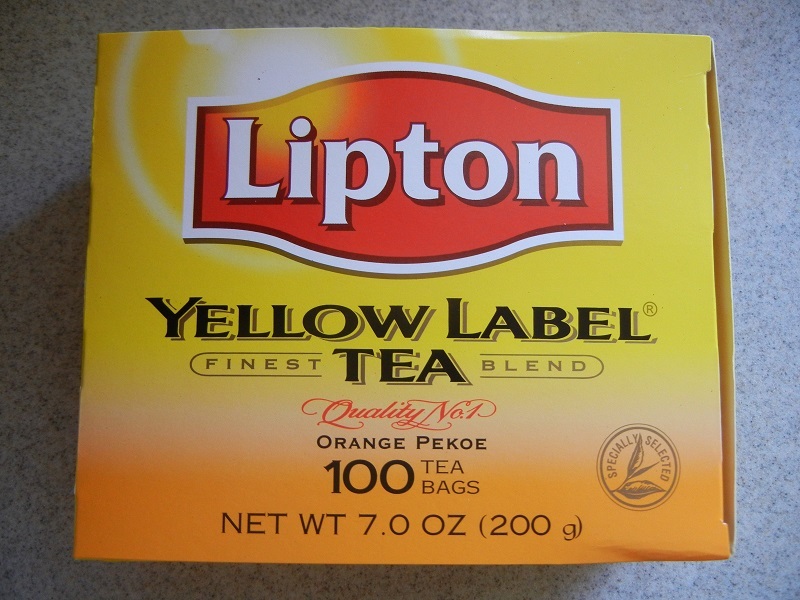 Magic = a special box of Lipton’s Yellow Label Orange Pekoe Tea , which she described as, “very smooth and rich. The best so far I have tasted. Hope you like it.” She is quite the foodie, so I knew this was gonna be good. Without knowing exactly what to do with it, I had planned to make a big batch of Taiwan-style milk tea with it, but when I opened it, I was greeted with a familiar rich aroma. I couldn’t quite place it. He sniffed. He paused. Then his face lit up. “It’s that milk tea you like but haven’t been able to make!” he said, excitedly. Uh, WHAT tea? I thought to myself. He must’ve forgotten I’ve already nailed my milk tea recipe. Mmmmm-hm. I thought smugly, thinking only of the Taiwan milk tea. “You know, the silk-stocking one! From Hong Kong!” he continued, seeing the question marks on my face. “…OHHHHHHHHHHHHHHHHHHHH YEAHHHHHHHHHHHHHHHHHHHHHH THAT’S WHAT IT IS!! !” I cried, finally placing the strong aroma. It brought me right back to those Hong Kong cafe breakfasts I craved so often. What a husband :). He knows me so well. And he was right. This was THE SECRET INGREDIENT I HAD BEEN SEARCHING FOR! MY QUEST WAS OVER. Victory was nigh. 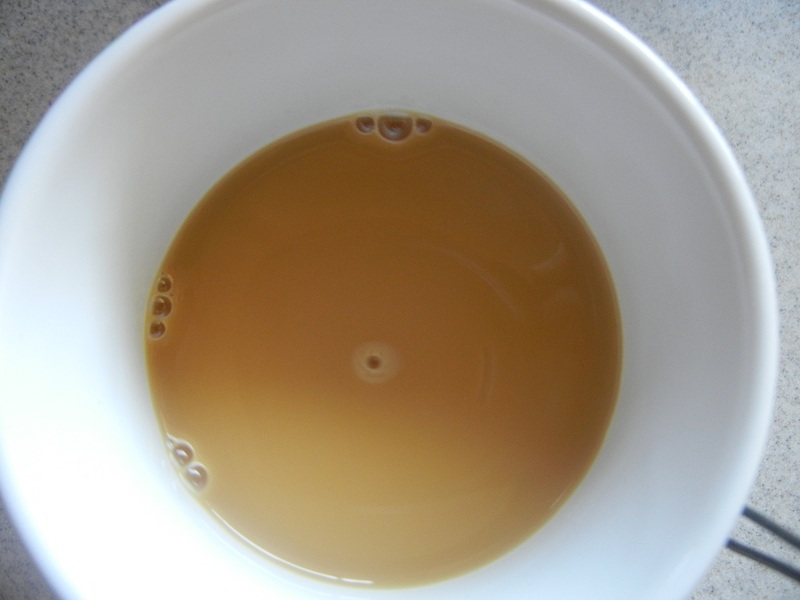 So I brewed some tea, added some sugar and evaporated milk, and guess what? I WON!! WINNER WINNER CHICKEN DINNER!!!!! It was just like the cafes, and now I can make it wheneverrrr I want!!!! This is going to be so bad for my health, but oh SO SATISFYING! And now, dear readers and Internet friends, I share it with you. If you’ve never tried this before, I hope you find that it’s your cup ‘o tea! Pun totally intended. Bring water to a boil, or microwave in a mug til steaming, about 1-2 minutes. Steep 2 tea bags for 5 minutes, or until tea is dark like coffee. 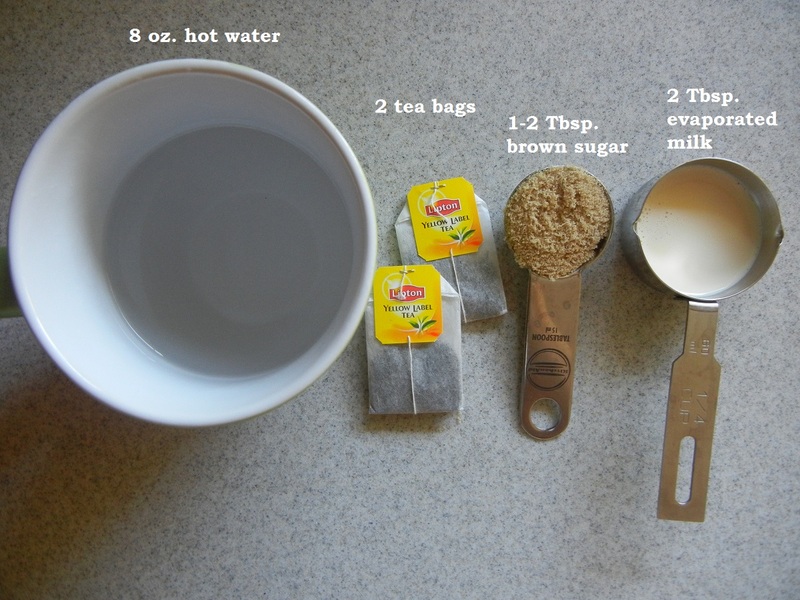 Remove tea bags, squeezing the liquid out before discarding. While tea is still hot, stir in sugar until dissolved. Stir in evaporated milk, starting with 2 tablespoons. If you like it creamier, add an additional tablespoon at a time until it suits your liking. If you’d like it sweeter, add one additional teaspoon of sugar at a time until it suits your liking. Serve with toast with some condensed milk drizzled on top and you’ve got yourself a lovely HK-style breakfast! They actually sell this tea at my local grocery store in my town of 1200. Yum! I’m glad you found it! Come on over! I make you someeee! Ooooh, this looks good! Yet another thing to put on my kitchen to do list!!! Haha as if you don’t already have enough on your plate! But let me know how it is if you get a chance to try it! Thanx! I’ve been making the cold Taiwanese milk tea since you posted if and love it. I even ordered a martini shaker from Amazon! I will try this one too. Any advice as to where to get this specific tea? If you REALLY love tea, you must try the tea they drink (and hoard) in China – Pu-erh tea. It is made from ancient tea trees only in Yunnan province.The leaves are actually aged like fine wine. There is absolutely NO bitterness or astringentcy no matter how strong. It is pricy, but you can brew the leaves over and over-even up to 10 times, so the price evens out. You can probably find a mixed source Pu-erh in a place like Wholefoods, but online you can get single source and year. It can be held for years like wine, developing unique flavors, or you can do as I do and just drink it all up every morning. See my Pinterest board for sources. God Bless! Niiice! So glad to hear you are enjoying the cold milk tea :D. Yum yum! It looks like you can order this Lipton Orange Pekoe tea on Amazon, too. The box I just linked above comes in a pack of 100 though, so it might be a lot if you’re just trying it out. Mmmm the Pu-erh tea sounds ah-maaazing!! Tea that ages well?! That’s awesome. I will have to try it!